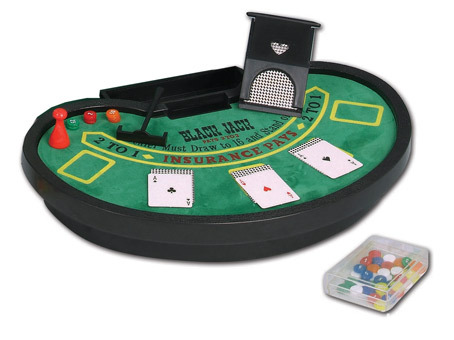 Mini Blackjack Table set. 10 1/4 x 6 1/2 x 1 1/2. Carton Size: 22" x 15" x 12"